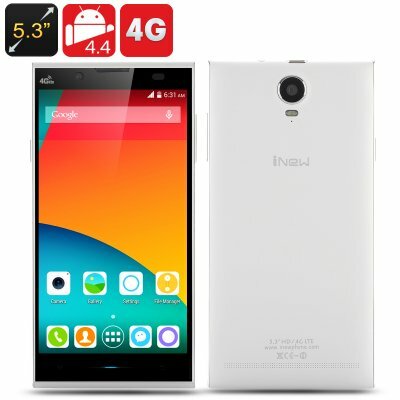 Successfully Added iNew L1 4G Smartphone - 5.3 Inch 1280x720 IPS Screen, MTK6582 Quad core 1.3GHz CPU, 2GB RAM, 16GB Internal Memory, Android 4.4 to your Shopping Cart. The iNew L1 4G LTE Smartphone supports FDD-LTE and TDD-LTE multiple bands. It features a 5.3 inch large size Sony IPS screen and uses a MTK6582 quad core CPU backed up by 2GB RAM and 16GB of internal memory. There is a built-in 2 megapixel front camera and a 8 megapixel rear camera that can be expanded via interpolation to 5 megapixel and 13 megapixels respectively. 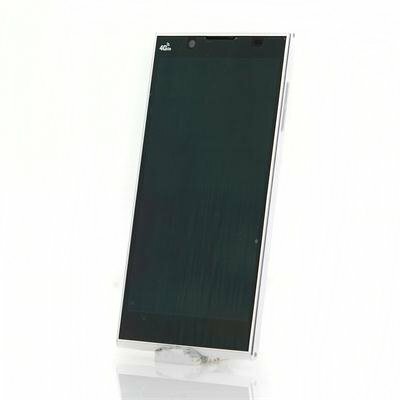 The display of iNew L1 is a large size Sony capacitive screen, which offers a wider viewing area due to having a narrow frame plus the 720p high resolution can bring better display effect. The match of black front panel and white back shell rewards this phone with a more elegant appearance and additionally the arc design on the back shell offers better support to be held in your hand. Insert up to two SIM cards as there is a micro SIM slot and a normal SIM slot that supports a range of 2G GSM, 3G WCDMA and 4G FDD-LTE/TDD-LTE bandwidths. With the phone’s Android 4.4 operating system, you can really take the iNew L1 smartphone to the next level as Android is an open platform that is constantly evolving. Download and install applications that you want to use and never worry about a sluggish performance because housed inside this phone is a powerful MTK6582 Quad core chipset. Capture your photos in high quality as the iNew L1 is equipped with a 8 megapixel Sony camera that through interpoaltion can be expanded to 13 megapixel and will take clear images as it supports face detection, smile shot, HDR, continuous shot, panorama and many other shooting functions. There is a removable 2450mAh battery that provides this smartphone with about 4 hours of constant talk time usage.